Motorola Solutions has signed a contract worth a total of $1.45 billion to extend the life of the Airwave TETRA network in the United Kingdom through the end of 2022, and the company officials yesterday outlined expectations for the overall growth of the business to continue this year and through at least 2021. “We’re thrilled about the Airwave extension … through the end of 2022,” Brown said during the conference call with analysts. “It’s about a $1.1 billion that went into backlog, and we expect another $300 to $350 million of additional contracts with local entities that will aggregate up that will go into backlog as those contracts get signed between now and the end of the year. Airwave initially was supposed to be retired at the end of this year, but the three-year extension was negotiated as it became clear that the LTE-based Emergency Services Network (ESN) would not be able to provide the mission-critical voice communications in time to make a smooth transition by the previous 2019 deadline. Motorola Solutions won the contract to develop the software solutions for the ESN, and the company was announced as a key partner in the AT&T team that is building the LTE-based FirstNet system in the United States. Neither of those public-safety broadband projects were mentioned by Motorola Solutions officials or analysts during the conference call. Brown described 2018 as a record-breaking year for the company and expressed optimism about this year. “I think we’re very well-positioned for another strong year in 2019, with our industry-leading portfolio of LMR solutions, a comprehensive command-center software suite and new video and analytics capabilities, all of which are supported by a growing services business,” Brown said. 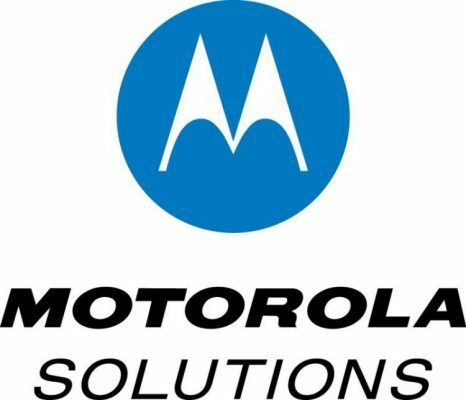 Some analysts had expressed concern that the lengthy U.S. federal-government shutdown and the trade dispute with China could have negative impacts on Motorola Solutions. But Motorola Solutions officials noted that the shutdown would have little or no effect on the company’s financial performance, as most of its businesses are based on long-term deals with state and local governments that are not influenced by a temporary situation like a federal-government shutdown. Meanwhile, the China situation actually could result in greater opportunities for Motorola, which largely has exited China as a manufacturing hub. “There’s obviously a growing concern around what I like to call Chinese electronics content,” Brown said. “Through the lens of cellular, Huawei and ZTE. Through the lens of land mobile radio, Hytera. And certainly in video, concerns around Hikvision and Dahua [Technology]. Brown said the impact of security concerns surrounding Chinese products is growing into other sectors, which should be “favorable” to Motorola Solutions. “It’s not just government agencies; it’s critical infrastructure,” Brown said. “Whether it’s the power grid, airports or transit, or oil and gas, I think there is an effect where some customers are contemplating, because critical infrastructure looks an awful lot like public safety, and it give some of our customers cause for pause. Company officials expressed optimism about the developing command-center business and the company’s two latest acquisitions, Avigilon and VaaS International Holdings. The performance of Avigilon’s video and analytics offerings are “at or exceeding expectations,” according to Brown. Brown said he is excited about the potential to leverage the VaaS license-plate-reader database capabilities in Motorola Solutions’ information platforms. When asked about the potential for Motorola Solution to acquire other companies, particularly in the burgeoning Internet of Things (IoT) space, Brown indicated that he is open to the idea.